Cancer activist Ouma Sekolole will attempt to summit the majestic Mount Everest, the highest mountain on earth. 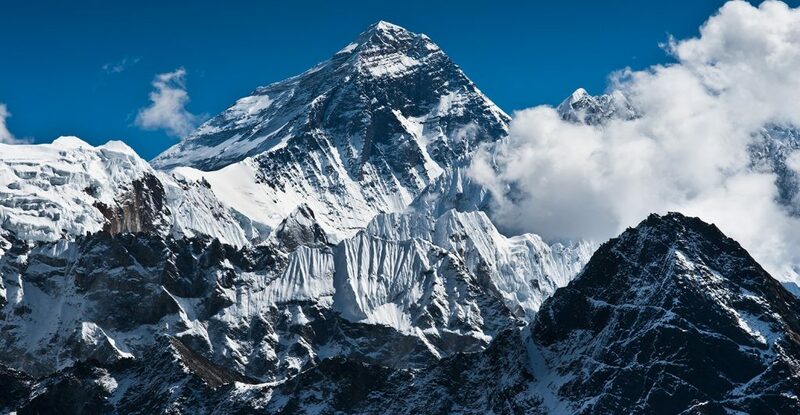 Sekolole will embark on summiting Mount Everest on April 5th to 8th June 2019. 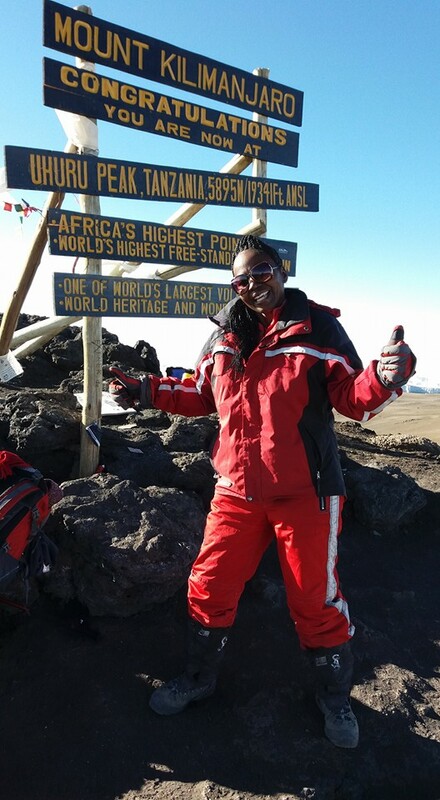 This trekking will be a world record as she will be the first Black African woman to summit Mount Everest. She will also be raising awareness about cervical and prostate cancer, something that she is very passionate about, having lost her mother to cancer at a young age. 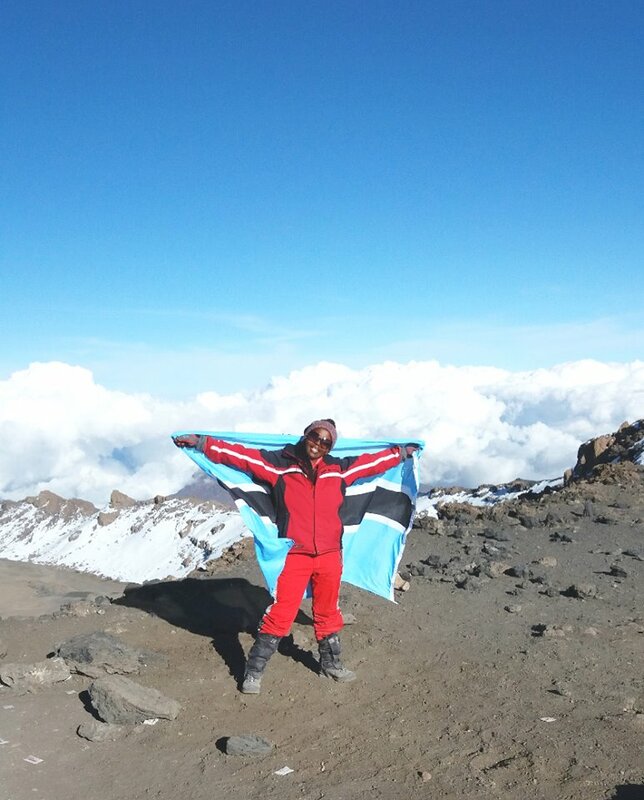 On 20th February 2018, Ouma Sekokole successfully summited Mount Kilimanjaro, the highest mountain in Africa. This was yet another major milestone for the Motswana woman, who has now set her sights on summitting Mount Everest. Sekokole says she has been training well and is in the right frame of mind to summit Mount Everest. 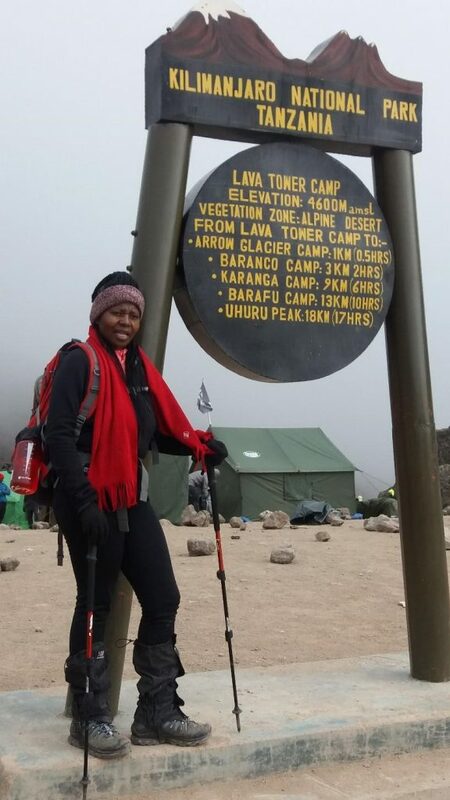 On 20th February 2018, Ouma Sekokole successfully summited Mount Kilimanjaro. 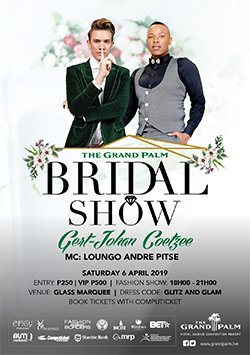 She also asks that Batswana remain positive and put her in their prayers as that will also drive her to the summit. For the expedition, Sekolole is being supported by the Ministry of Youth Empowerment, Sport and Culture Development – who covered her summit fees, Brand Botswana, Cell City and SUPERFIT Gym. Talks are still ongoing with other potential sponsors, and Sekolole calls on corporates to come on board and support this historic expedition. 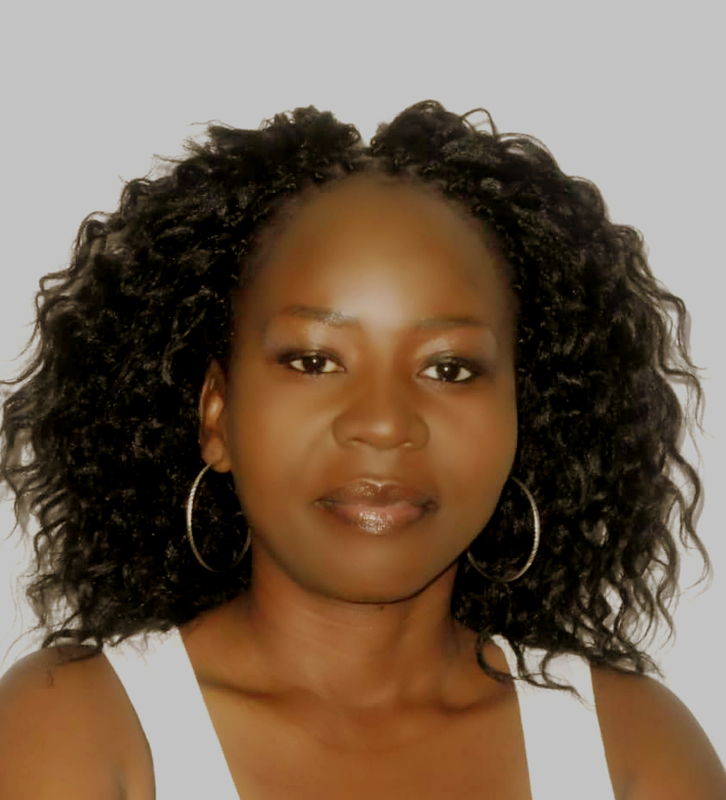 Ouma Sekokole is the Founder and Executive Director of OUMA Foundation. She is the first and only Botswana Citizen who is Habitat For Humanity International (HFHI) Fellow. A high performing cancer advocate, creative visual artist and strategic thinking professional with more than 15 years’ experience in social entrepreneurship, health, arts, education and humanitarian work. Her work in the cancer field includes raising public awareness about the importance of cancer awareness, screenings, early detection and treatment. Her advocacy is knowledge based, research, fund raising and community outreach. 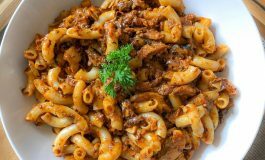 In 2013, she founded The Ouma Cycling Charity Tour (OCCT) an annual bicycle journey whose route traverses selected underserved poor remote far to reach communities. Build temporary mobile clinics to help people by raising public awareness about the importance of cancer screenings, early detection and treatment. In partnership with the Ministry of Health and Wellness National Cervical Cancer Prevention Program and other stakeholders – Botswana Police services, District Commissioners, BoKgosi etc, OCCT team is made up of professionals with different skills (doctors, nurses, media, counsellors, mobile clinics, supplies, equipment, security etc. ), who contribute their expertise towards the success of the vision. During the tour, experts share knowledge, raise awareness, performs screening and treatment of cancers – cervical and prostrate. Procedure used for treatment of cervical cancer is called CRYOTHERAPY; it is used to immediately freeze changes on the cervix that could cause cancer. Any advanced changes found in the patients are referred to nearby hospitals for further review. We also do Loop Electrosurgical Excision Procedure (LEEP), PAP SMEARS on advanced ages, STI treatments, Safe Male Circumcision, HIV testing and other health related concerns. This is all done at NO COST to the People. So far, OCCT has reached more than 800 communities, 100 schools and covered over 10 000km of cycling across the country. A well-travelled, sought after public speaker and committed volunteer with various non-profit organisations, societies, groups etc, she has extensive experience and knowledgeable working in international and multicultural environments. She graduated with Bachelor of Arts from Sterling College, Kansas USA. 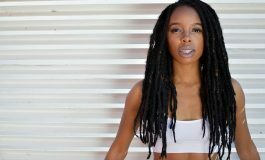 She takes pride in fitness and healthy living, a certified spinning instructor, cyclist, expeditions (mountaineering, endurance and cardio), marathon and triathlon runner.